or in violation of the per se laws. Per se is an alternate way of stating that you were driving with a BAC of 0.08% or greater. If the prosecutor cannot prove all of these elements the ruling must be made in your favor. In addition, if there is any reasonable doubt to any of these elements, not just the statement in its entirety, the criminal charges against you will be dropped. However, if the prosecutor is able to prove all the elements, you will be found guilty of the charges and various punishments will be imposed on you. You could face a license suspension (unrelated to the DMV suspension), fines, jail time, probation, mandatory attendance at alcohol-related classes and programs and you may be required to install an ignition interlock device on your vehicle. 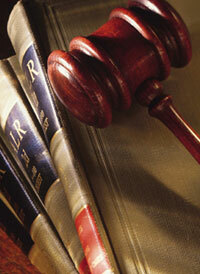 As with any criminal conviction you have the right to appeal a DUI criminal conviction.